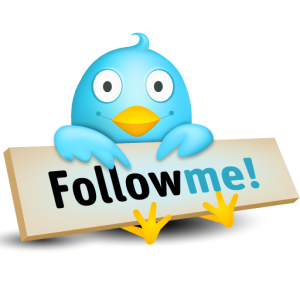 Did you know that Twitter is considered to be one of the most effective and impressive ways to increase traffic? As an Internet marketer one of your main promotional goals should be to dominate social networks and what better way to access the global market than through Twitter. Simply by attracting (quality) followers and making friends you can quickly build a list of valuable leads. Many people use Twitter simply to send tweets to one another and keep in contact with friends and family, but as an Internet marketer you can use it to draw a serious amount of traffic to your business sites if you know how. Just imagine, with the increased traffic to your blog and other social sites, you can gain more subscribers and leads, and later convert them into paying customers ultimately leading to increased income. First, you need to spread the news that you're on Twitter. You will want to include your Twitter URL/icon in your email messages, post blogs and on your websites. That way, everyone will know that you're using Twitter. Regularly updating your tweets is a must to help you draw more traffic to your site. Avid Twitter users like people who post tweets regularly. If you want to gain active followers through your tweets you will want to set up a schedule for posting and do your best to stick to it. Consistency is Key when posting. You'll also want to make sure that you reply to the tweets addressed to you. I don't recommend that you stay on the site all day or spend long hours tweeting away your time. Just pick a good time once or twice a day and login. Always make sure you check the @Connects area on your toolbar to see if there are any tweets directly mentioning you or possible Retweets and respond if there are. If you have a mobile device, all the better because you can sync it up with your Twitter account and you won't have to worry about being away from your computer. Sesmic and Hootsuite are both very good mobile apps to use. Don't worry if your followers don't become active right away. It may take some time, but they will begin to notice the times that you are more active and after a while they will join in your conversations, which is one of your main goals. Remember your social sites are your online storefront and will take time to build just like a real storefront business. A good rule of thumb to follow is to keep your tweets full of helpful content and limit your promotional ones. This way you'll keep the followers that really matter. Learn to balance your tweets. Avoid sending out to many personal or unrelated tweets because it can actually cause you to lose followers. After all there aren't too many of your business contacts that will want to hear that you took a shower today or what you had for breakfast every morning, so keep your tweets focused! Add personality yes, but keep it focused and professional. By taking the time to build good relationships with your followers, you will be laying the ground work for converting them into lifetime customer for your products or services. Establishing a good relationship with your followers is vital if you want to take advantage of the massive flow of traffic that pours through Twitter every day. – Let everyone know that you're on Twitter. – Reply to the tweets addressed to you. – Pay attention to the kind of tweets you're sending. – Make the tweets personal, but not too personal. – Most of all, build good relationships. Using Twitter is fun and easy, that's why is has such a big draw. I'll be honest, not everyone who uses Twitter as a marketing tool will be successful because it takes time, effort, and patience to see effective results. But if you follow these simple steps regularly you should see an increase of activity and conversion.